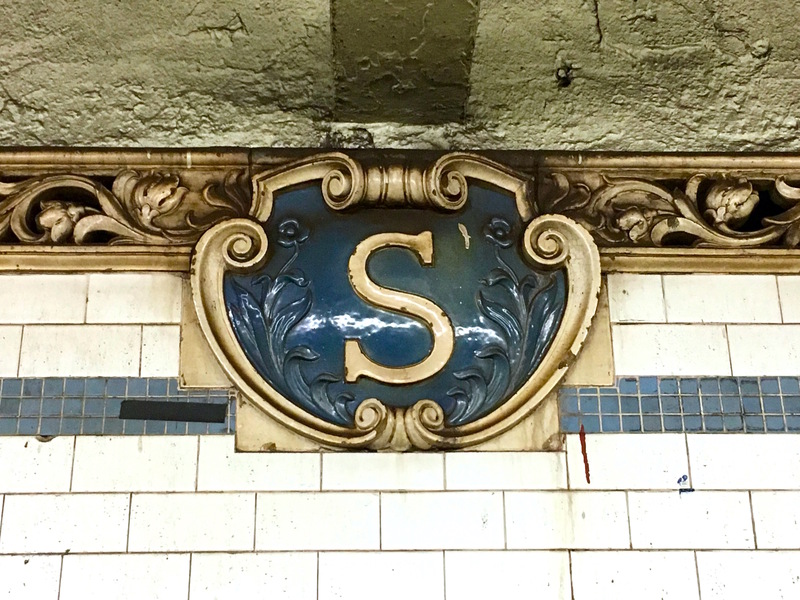 Walk into the Spring Street subway entrance on the C and E line, and you’re greeted by this large, lively mosaic of a multi-track, two-story stop. 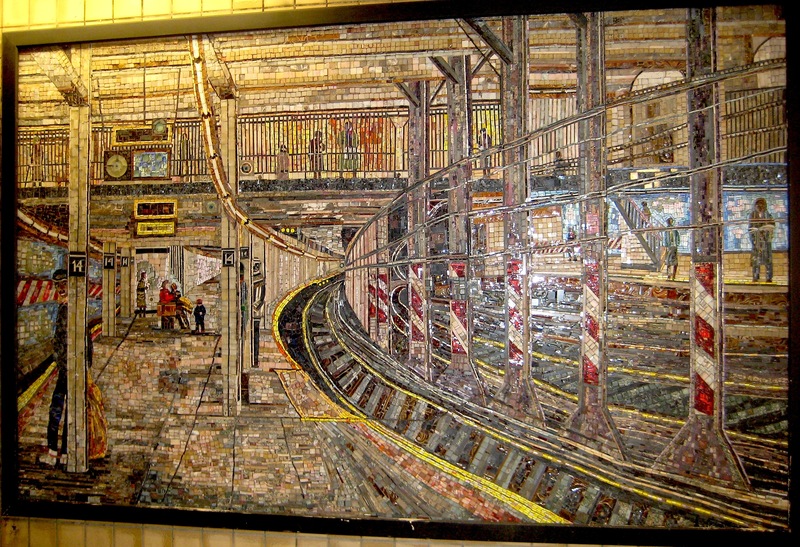 It’s titled New York Subway Station, by Edith Kramer. 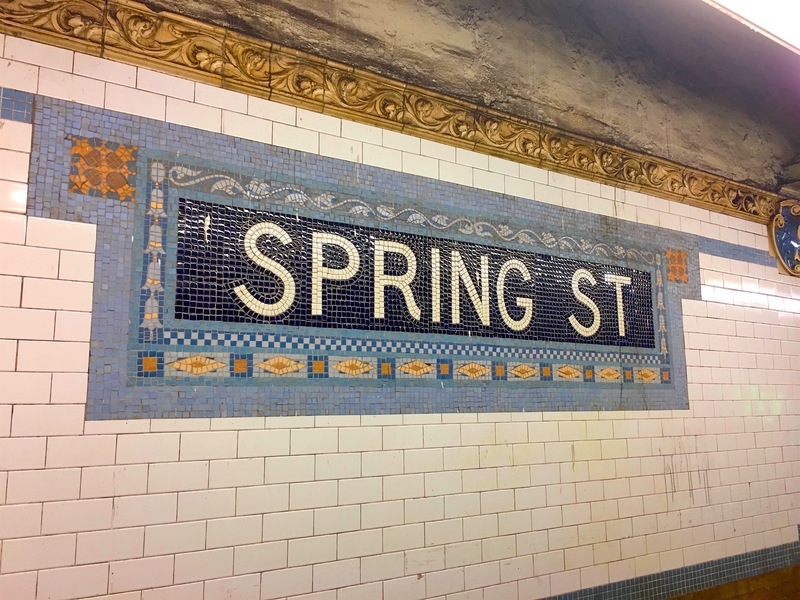 Except the mosaic doesn’t depict the Spring Street station—it’s a view of Union Square. Why it’s at Spring Street is a mystery, but in any case, it’s a colorful and enchanting piece of art, and it’s been at the entrance since 1994.